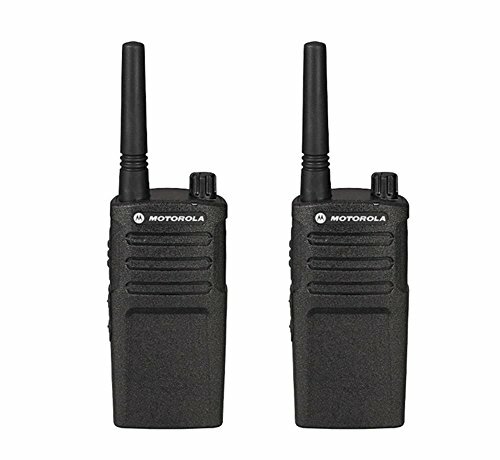 2 Pack of Motorola RMM2050 radios. Each of our radios comes complete with a single-unit charger, 15 hour lithium ion battery pack, swivel belt holster. 2-watt (covers up to 20 floors, 200,000 square feet range depending on terrain & conditions), 5 channels (communication groups) total. These RMM2050 radios are set to special MURS frequencies that don't require an FCC license . 2 Pack of radios and associated accessories . RMM2050 is direct replacement to RDM2020 and RDM2080D. Very reliable, simple, heavy-duty radio . Each of our radios comes complete with a single-unit charger, 15 hour lithium ion battery, swivel belt holster.